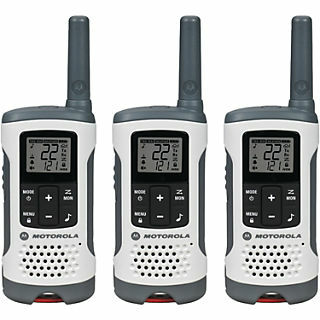 With a range of up to 25 miles and the freedom to communicate wirelessly, Motorola T260 2-Way Radios let you stay in touch with family and friends, whether tacking a back country trail or camping in the woods. The T260 doesn't stop with exceptional range. 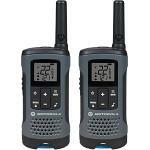 This lightweight, compact and durable radio comes packed with essential features, like 22 channels and the standard scan feature. If you run into trouble, you can use the emergency alert button to let others know you're in distress. The weather alerts keep you informed for severe weather in your area.